Today is the 70th anniversary of the sinking of the USS Indianapolis, of one of the most terrible catastrophes in the history of the United States Navy. After completing a mission to deliver parts for the atomic bomb that would fall on Hiroshima, the battleship was struck by a torpedo from Japanese submarine I-58 en route to the Philippines. The Indianapolis sank, taking with it a over 300 crewman. 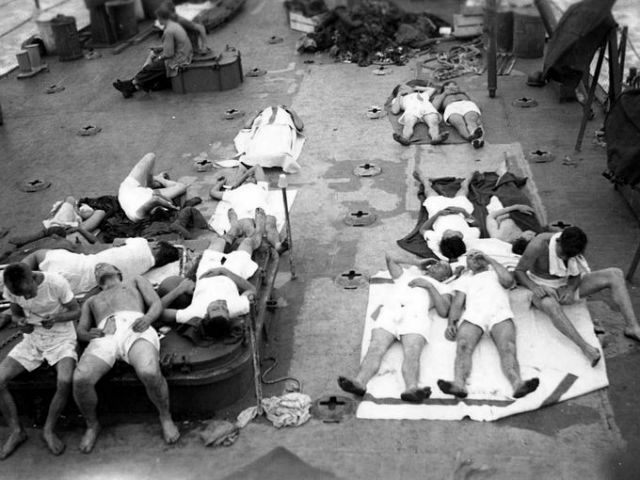 The sinking launched a five-day ordeal in which just under 600 more sailors would be killed.